The Archbishop of Canterbury's daughter Katharine Welby-Roberts has told how opening up to her mother helped her to seek help for depression. In a film made for mental health charity Heads Together - the campaign spearheaded by the Duke and Duchess of Cambridge and Prince Harry - Welby-Roberts talks to her mother Caroline about how writing a blog about her experiences also helped her to cope. Speaking from the kitchen at Lambeth Palace, Welby-Roberts - a police officer turned blogger - said: "It was only when it came down to writing my blog that I found I was able to explain to you more of how I was feeling and how I was doing. The mother-of-one has suffered from depression and anxiety for over 10 years, and has used her blog as a platform to raise awareness about living with mental health issues. Justin Welby's daughter, who gave birth to her son Elijah in October last year, has also spoken about the need to promote honesty and openness to help tackle the stigma of mental health in the Church. The film is one of a series of shorts made by Heads Together, which have included Alastair Campbell, Ruby Wax and Adwoa Aboah. 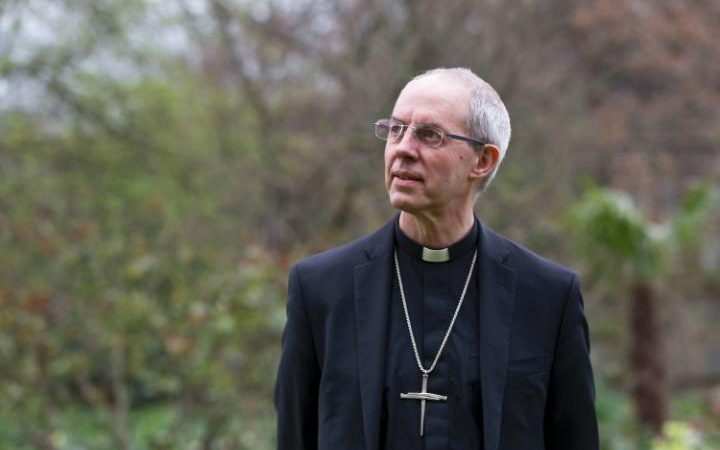 Welby-Roberts' mother Caroline says: "I think one of the things that I’ve learnt is, it is much more difficult to understand if there is absolutely no framework and if everything on the surface just looks normal." Also released today is a short film with Rio Ferdinand, who talks openly with close friend Jamie about his grief. Ferdinand, whose wife Rebecca died of cancer in 2015, said he has learnt how important it is to open up about how you are feeling. He said: "I think in these situations you need to have the ability to be able to get your feelings out, I think it doesn’t just help you, it helps all the people close, because they then feel more comfortable, because everyone just feels awkward."